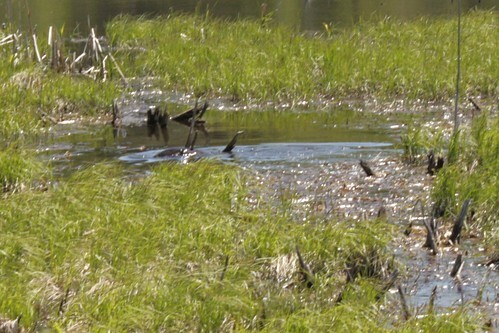 Mostly lakes, streams, and ponds, but also swamps and marshes. The pelage (fur) is dark brown above. a little lighter below, with a white a grayish or silvery throat. American mink (Neovison vison) is much smaller, no more than 27½″ in length including the tail. Sources: 7, 15, 24, 29, 30, 76. This species was originally named Lutra canadensis. In 1972, New World otters were separated into the genus Lontra. Observed at Fort Snelling State Park. River otters are in their element in Yellowstone’s early winter. They avoid a hungry coyote with their excellent swimming skills, but soon the river will freeze. Check out eFIELD WYOMING: Flora, Fauna, Landscape at WyomingNaturalist.com There are more than 3,600 unique photographs and five hours of video detailing 260 plants, 250 animals, and 50 landscape components - all found in Wyoming! Otters outside Kettle River, MN. This is a North American River Otter on the ice on Superior Bay which is at the end of the St. Louis River and along Park Point which is the world's largest fresh water sand bar - located at the western most end of Lake Superior - the world's largest freshwater lake. 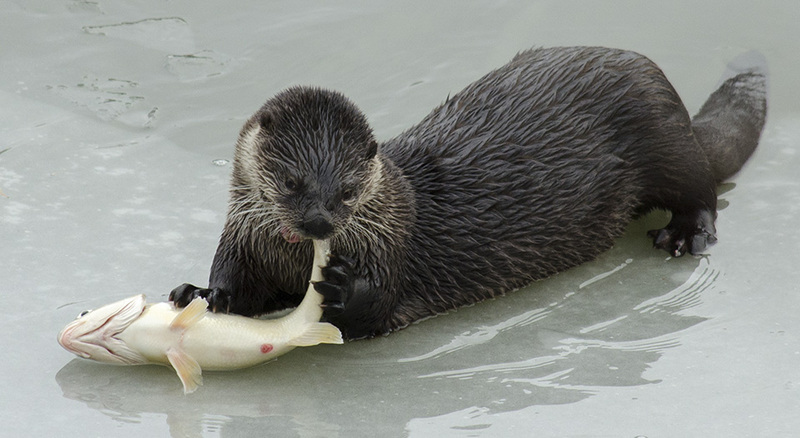 You can tell that this otter fishes for a living. The surprise in the video is seeing him come up with two fish on his second dive through the ice. I was out walking the dog and saw it run thru the yard. The dog took after it and chased it into the tall grass around the swamp in our backyard. We live a couple of hundred yards off the Mississippi River. I couldn’t believe my eyes, Pretty awesome! Location: Washington county, MN (55082). Just south of co. Road 12, on Jamaca Avenue. It was Huge! Nice to see. Did not think there were any in our area. Location: Observed at Fort Snelling State Park.